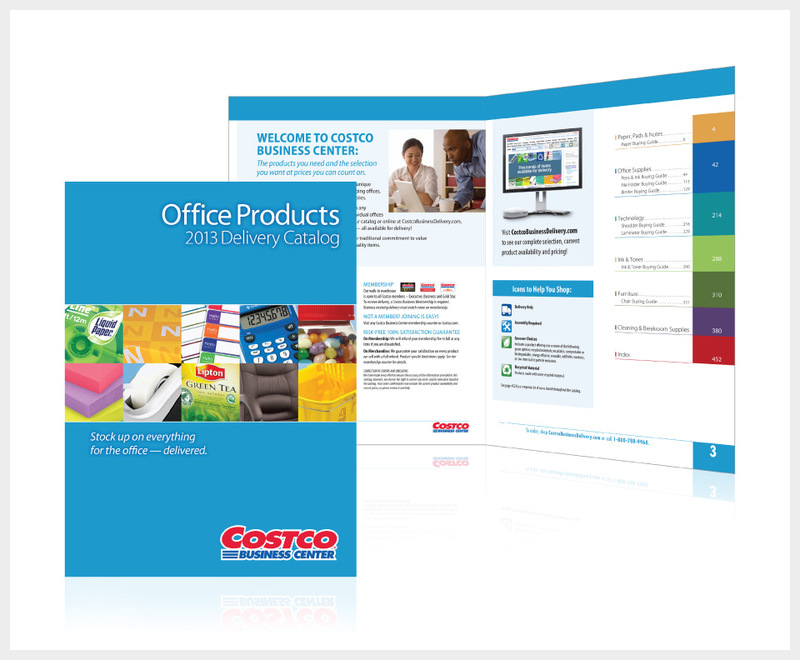 Costco Business Center, which provides business members with products to help run their businesses, needed to redesign its office products catalog to reflect its expansive product selection. My solution was to create a grid of product images which emphasized the color and variety of the products available. The design approach used for the cover was then carried over to the interior of the catalog where distinct colors were used to categorize and distinguish each product section. The result was a design that was visually appealing along with a product selection that was easy to navigate. The cover design and initial spread of the catalog use a grid of colorful product images along with a distinct color scheme for each product category.